And other ways to recover from a nasty cold. 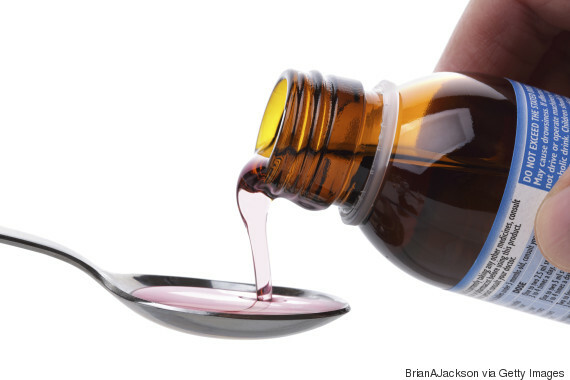 If you have a cold, chances are you're most likely going to reach for cough syrup to help you heal. But although cough syrup is a billion dollar industry, over-the-counter cough syrup may not be effective at all, according to a recent video by science YouTube channel Reactions. The video notes that after looking at 19 different studies, 15 of the studies concluded there either was no benefit to using this type of medicine or the results were conflicting, Cosmo reports. "Carefully performed clinical trials show that these medications are generally no better than a placebo," the video adds. But other experts say cough syrup can help relieve symptoms of a cold. The video also mentions cough syrup can also help you sleep better at night. And of course, there are other common treatments many people try when they're sick, which help alleviate the symptoms: drinking a lot of fluids, taking hot showers and using a humidifier. Watch the full video by Reactions below.